Graduation season is in full swing, but for younger students it’s Science Fair time. Last week my daughter presented the experiment she has been working on. Elianna had a simple idea and set out to prove it. Her project required that she grow plants. She grew two different types of plants from seeds, and used another plant already established. She started by planting two different types of seeds. The seeds were tiny, and though they were for two different types of plants they looked very similar. We waited several days for the seeds to sprout. Once they did it was easy to tell the difference between plants. How creative our God is. The genetic code for all living things is housed in a tiny seed, or egg. Curiosity got the best of me, so I looked up some scientific facts about plants. Botanists say there are approximately 400,000 different species of plants. [i] Can we wrap our head around that number? Perhaps these numbers will help us see how powerful and creative our God is. Once we understand this, we can begin to let Him work in our lives in amazing ways. Then God said, “Let the land produce vegetation: seed-bearing plants and trees on the land that bear fruit with seed in it, according to their various kinds.” And it was so. And God said, “Let the water teem with living creatures, and let birds fly above the earth across the vault of the sky.” 21 So God created the great creatures of the sea and every living thing with which the water teems and that moves about in it, according to their kinds, and every winged bird according to its kind. And God saw that it was good. And God said, “Let the land produce living creatures according to their kinds:the livestock, the creatures that move along the ground, and the wild animals, each according to its kind.” And it was so. 25 God made the wild animals according to their kinds, the livestock according to their kinds, and all the creatures that move along the ground according to their kinds. And God saw that it was good. Today is 3/14/15. Some have decided to call it Pi day (π), after the number. 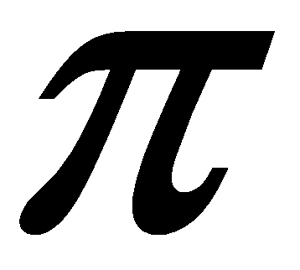 Pi is the ratio of a circle’s circumference to its diameter. It is equal to 3.14159265358979323846… (the digits go on forever without repeating). π is infinite. Perhaps the reason this equation goes on forever is circles have no beginning and no ending. When I consider this mathematical concept I’m reminded that our Creator and His perfect love are infinite. God wants us to know this fact. So, our Creator has placed in nature ways to help us get to know Him. I discovered one of these ways when I opened up my Bible to read Genesis 1. In the beginning God created the heavens and the earth. Now the earth was formless and empty, darkness was over the surface of the deep, and the Spirit of God was hovering over the waters. And God said, “Let there be light,” and there was light. God saw that the light was good, and he separated the light from the darkness. God called the light “day,” and the darkness he called “night.” And there was evening, and there was morning—the first day. God made two great lights—the greater light to govern the day and the lesser light to govern the night. He also made the stars. God set them in the vault of the sky to give light on the earth, to govern the day and the night, and to separate light from darkness. And God saw that it was good. And there was evening, and there was morning—the fourth day. What? Back up! — If God did not make the sun, moon, and stars until the fourth day, what was the light on the first day of creation? I went back to verses 1–5 again. The light was there first. Then, God spoke everything else into existence. I had to know more. As I explored the concept of light, I came to know our glorious Creator in a most remarkable way. Stick with me through a little technical jargon. It will help us understand the many meanings of light and how those meanings help us understand the attributes of God. I promise you will be rewarded for your time. The Speed of Light. Light travels very quickly, 186,282 miles per second. [i] The photons of light travel in a straight line, and go on (theoretically) forever. Consider how far light travels from distant galaxies. Light is infinite, just as God and His love are infinite. Light is coming to us in the fastest and most direct way possible—that is a straight line. [ii] God is available to us in the fastest and most direct way possible too—with just a prayer. Visible Light. The light we can see is part of the electromagnetic (EM) spectrum. This spectrum is radiation and is divided into types of waves. EM radiation carries energy, called photons. [iii] The waves we can see are visible light and are between certain frequencies near the middle of the EM spectrum. Jesus is with you even though you can’t see Him. Color. Each frequency is a different color. In 1670, Sir Isaac Newton demonstrated that white light is composed of all the colors of the spectrum by refracting sunlight through a prism. [iv] White light is the presence of all color, so light is the exclusive source of color in the world. When light disappears, color fades. [v] Colors are made of wavelengths. When we see colors we see the wavelengths of light that are not absorbed by the object. [vi] Black is the absence of color,[vii] or the absence of light. Sight. Without the gift of light, sight would be meaningless. The ability to see begins when light enters your eyes. [viii] Without God’s gift of light, there would be no sight. “In the beginning was the Word, and the Word was with God, and the Word was God. He was with God in the beginning. Through him all things were made; without him nothing was made that has been made. In him was life, and that life was the light of all mankind. The light shines in the darkness, and the darkness has not overcome it. In John 8:12, Jesus said, “I am the light of the world.” This light goes on forever, just as the love of God never ends. Once we understand that Jesus is light, and light is infinite, we begin to better understand the attributes of God. When we turn to the end of the Bible, in the last chapters of Revelation, we get a glimpse of the New Jerusalem, our heavenly home and we see that light comes from God. Take a look at math, science, and nature. What other ways is our Creator expressing himself? Adapted from: Follow the Light, Week One, by Julie Garro, Crossbooks Publishing, October 2013. [iii] Encyclopædia Britannica Online Library Edition, s.v. “light,” accessed July 26, 2013,http://library.eb.com.arlingtontx.idm.oclc.org/eb/article-9110443. [vii] Encyclopædia Britannica Online Library Edition, s.v. “color,” accessed July 26, 2013,http://library.eb.com.arlingtontx.idm.oclc.org/eb/article-9273736. Did you know the earth makes light? The earth’s magnetic poles and radiation from the sun team up to create the phenomena known as the Aurora Borealis, or Northern Lights. The sun’s radiation creates charged ions in the atmosphere. When the charged ions release an electron, they also release light. The Northern lights are generally seen only in the polar regions of earth. However, if atmospheric conditions are right, they can be seen as far south as the mid-latitudes. (There are also Southern Lights, called Aurora Australis.) The ancients developed many myths and legends surrounding the Aurora Borealis, but today we understand these displays are more proof of God’s incredible creativity and master plan. When was the last time you were amazed at God’s creativity? Take a few minutes to enjoy the beauty God has given us.